Learn for free … and at a 98% discount. Make It Paleo. Bill Staley and Hayley Mason – Authors of Make It Paleo and Gather. Please note Sally Fallon Morell’s position on the Paleo diet by scrolling down to the word Paleo. Giveaways are offered daily this week: http://bit.ly/16AMt66 – click on the Giveaway tab to see what’s new each day. This is unique opportunity to learn about the dietary principles we teach in depth! Valued at over 2,000.00, these educational materials are offered for 39.00 or a 98% discount for one week only! This is the last bundle sale of the year. 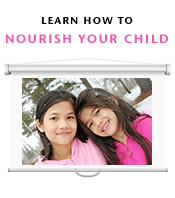 I am honored that our e-book on how to nourish our children was asked to be included! Your definition of the word “nourish”? 18 Responses to Learn for free … and at a 98% discount. To nourish is to feed the body, the soul or the mind with healthy elements like whole foods, love or enlightening ideas. Carol – you were randomly chosen to receive our e-book and study guide … my compliments! Congratulations! Nourish to me means to fill my family’s bellies with healthy, whole foods that are made by me with love and to build their spirit up with love and encouragement. Nourish means that something gives more than it takes away from us. We can be nourished by healthy food that is properly prepared and also by relationships, work we love and spiritual practice. This is a definition I’d love to borrow! To cradle with caution and absolute tenderness while aggressively cultivating strength in the wholeness of the vulnerable. Wow! So poetic to my ear! Lovely! To feed one’s body, soul, mind, and spirit. To nourish is to create the foundation for which the rest of a life will be based on. If you don’t provide good nourishment then you are building into that foundation disabilities whose consequences will need to be supported at far greater expense and with far greater effort. I love this! Thanks, Tom! Nourish = to have full benefit from the good that is eaten in its natural form. Not just calories, the body needs more, the body craves more. Nourish with whole, real food that our body was designed to digest and feed or cells and brain! To nourish means to fill the body, mind, soul, and spirit with all that is beneficial. For the body this means whole foods that our grandparents would recognize and cherish. For our minds, it means that we dwell on all that is positive and good. For our soul and spirit, we make time for and value what we need for spiritual fulfillment and to attain peace and rest. Nourish is to infuse life into others through our words, our touch, our food. Nourish- to eat with a view to provide energy and health to your body. The opposite of malnourished.